Coca Cola Company brings you the Minute Maid and CCFS Summer Sweepstakes where they will be giving away five (5) $30 Fandango Digital Gift Card per day for online purchase of movie tickets to 600 lucky winners. You can use Fandango Gift Card only for purchase of movie tickets or purchase or rental of content on Fandango.com, FandangoNOW.com, and participating Fandango or FandangoNOW apps. There are two way to enter this sweepstakes.!! Text Message Method of Entry: During the sweepstakes period, using your 2-way text-messaging-capable device, text the keyword MOVIE or SHOW to the short code 26739. Then, input the requested information to confirm your date of birth. If you are eligible, you will receive 1 entry into the Sweepstakes per text entry per Day. Mail-In Alternate Method of Entry: During the sweepstakes Period hand print your full name, street address, (no P.O. Boxes),day/evening/cellular phone number (if any), email address and date of birth on a 3″ x 5″ piece of paper and mail it in an envelope with proper postage to”Minute Maid and CCFS Summer Sweepstakes–Sweeps Entry,”P.O. Box 5035, Department 835173, Kalamazoo, MI 49003-5035. You will receive 1 entry into the Sweepstakes for the applicable Day. There is a limit of one (1) entry, per eligible person, per day. Who Can Enter: This sweepstakes is open only to legal residents of the fifty (50) United States and the District of Columbia who are thirteen (13) years of age or older at the time they enter the sweepstakes. When To Enter: The Minute Maid and CCFS Summer Sweepstakes begins at 12:00 a.m. Eastern Time (“ET”), May 14, 2018 and ends at 11:59 p.m.ET, September 10, 2018. Sponsor: The Coca-Cola Company, One Coca-Cola Plaza, Atlanta, GA 30313. 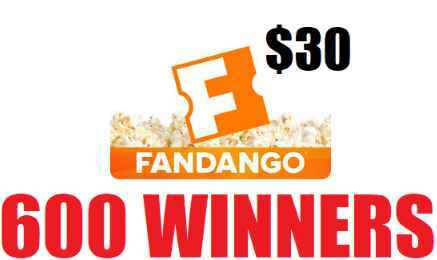 Sweepstakes Prize: The Grand Prize Winner will receive the following (the “Grand Prize”): (“600 Winners”) A $30 Fandango Digital Gift Card for online purchase of movie tickets. Approximate Retail Value (“ARV”): $30. Fandango Gift Card is redeemable only for purchase of movie tickets or purchase or rental of content on Fandango.com, FandangoNOW.com, and participating Fandango or FandangoNOW apps.